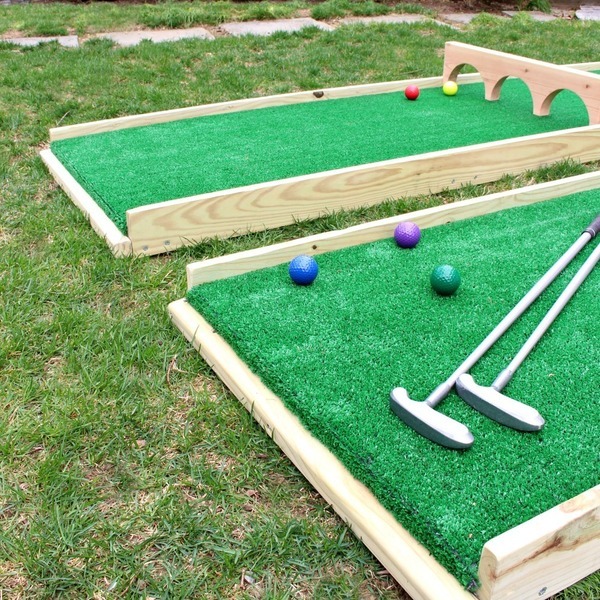 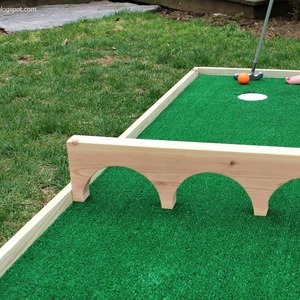 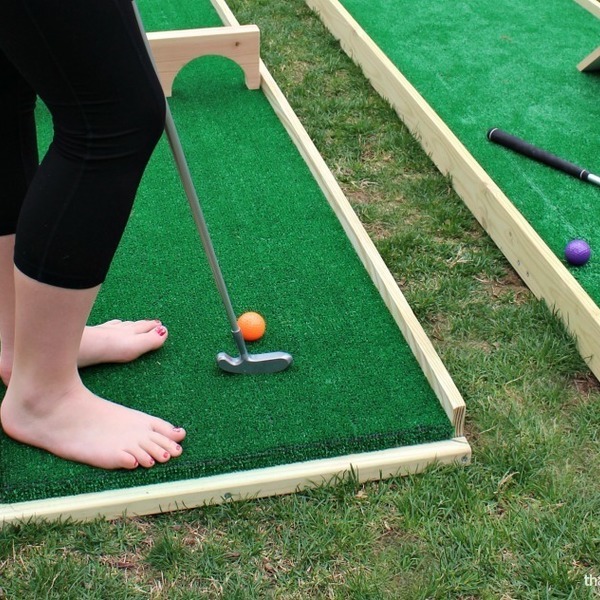 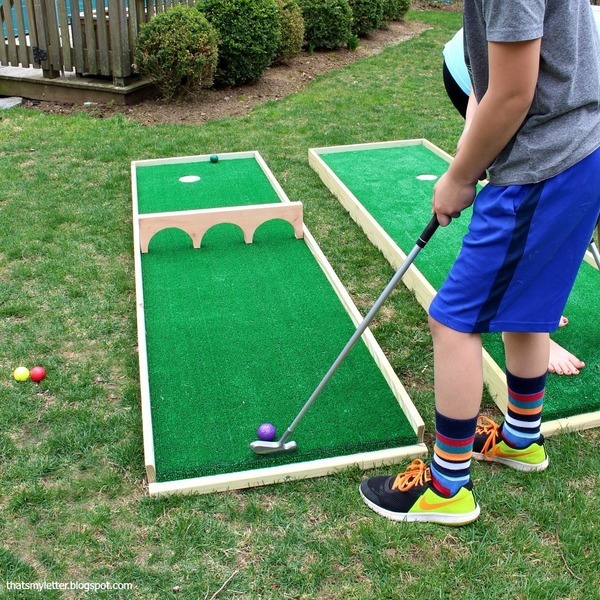 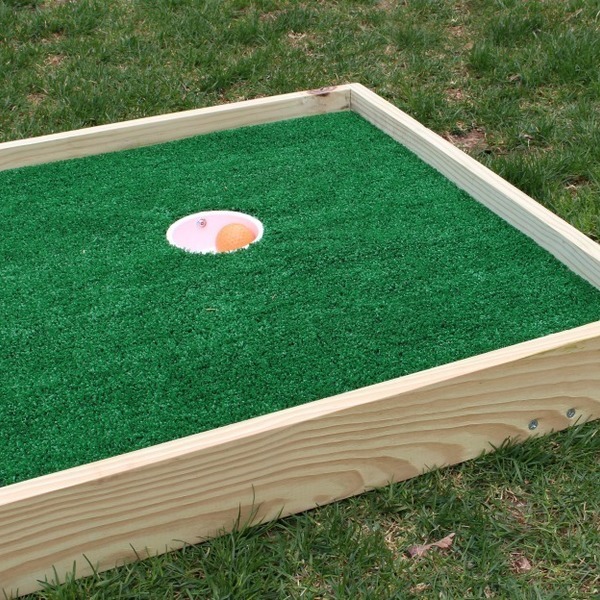 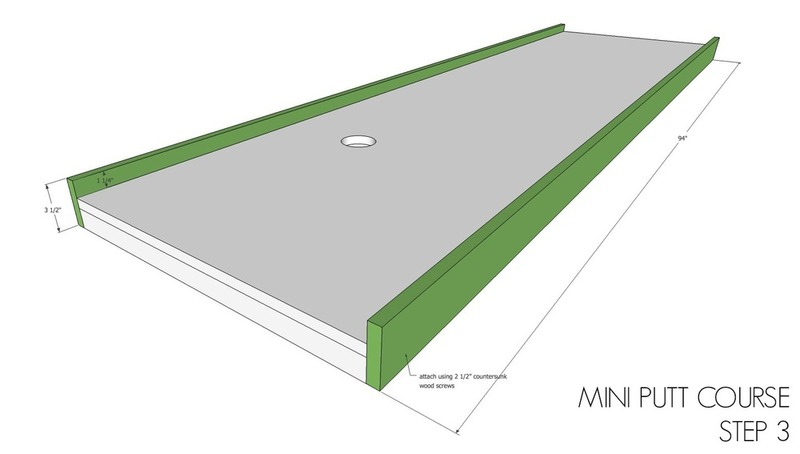 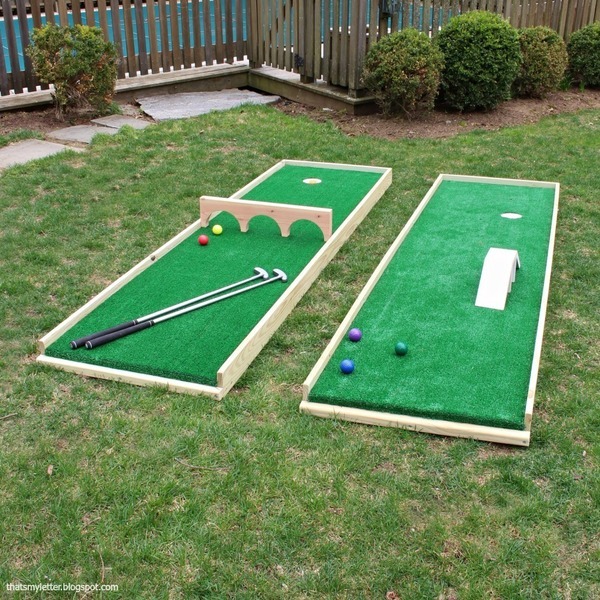 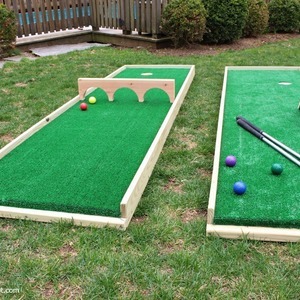 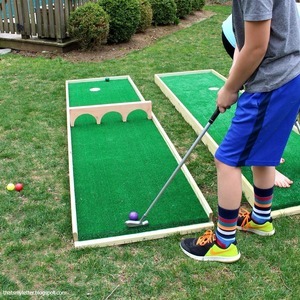 Mini putt ia always popular outdoor game for kids and adults so why not make one for your yard? 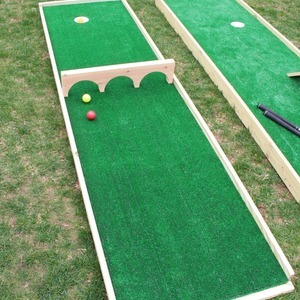 Endless competition and focused concentration go hand in hand with mini putt and this easy to build course will have you playing in no time. 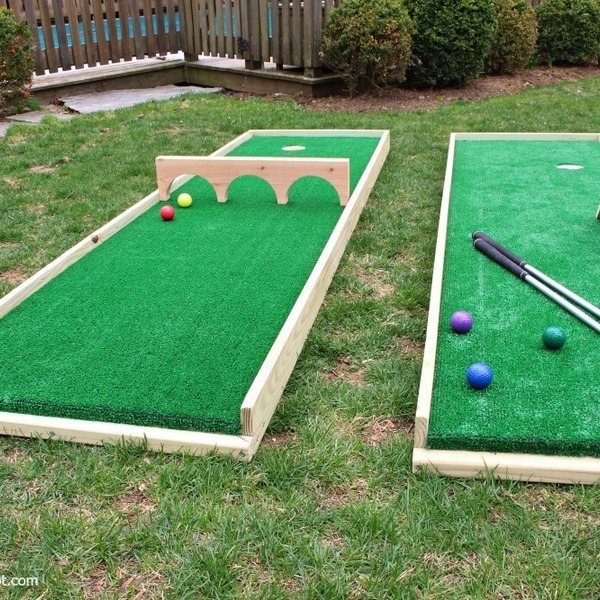 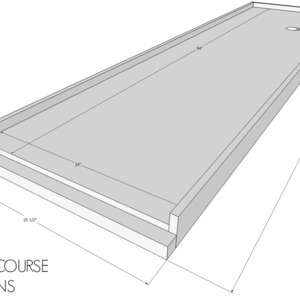 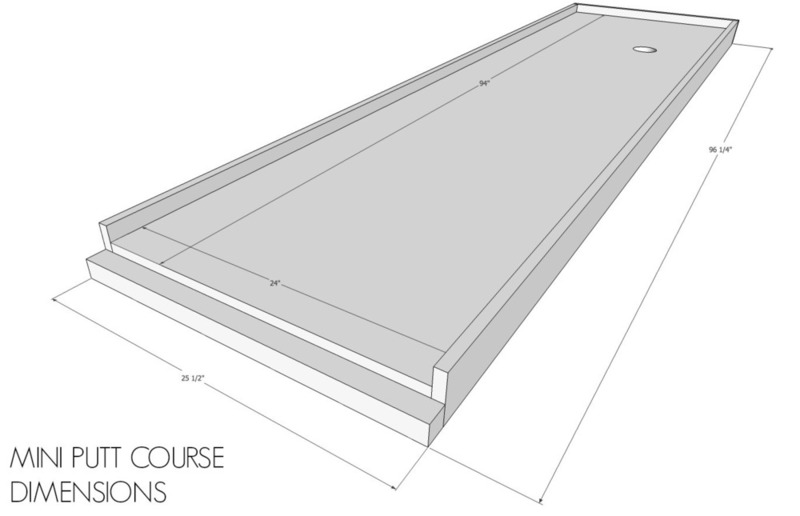 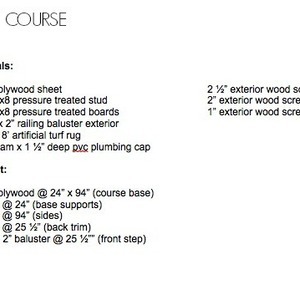 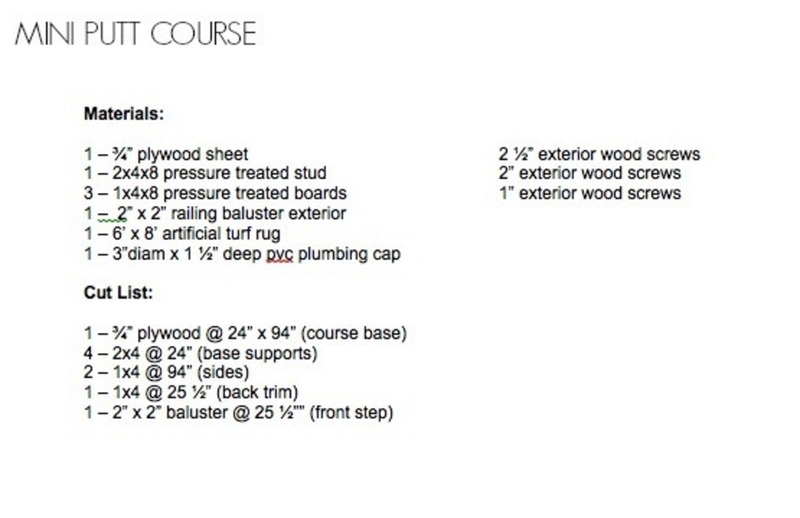 Get creative with obstacles and personalize your course as you like. 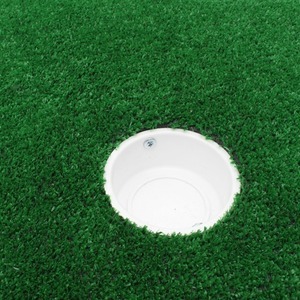 Determine where the hole will be positioned. 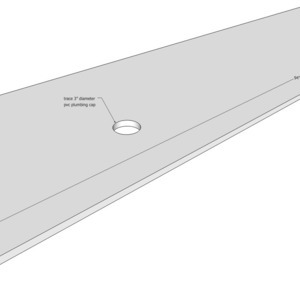 Trace around the pvc cap and cut out the hole using a jig saw. 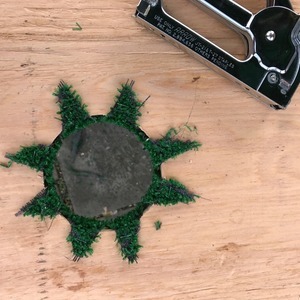 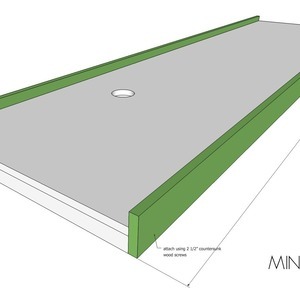 Attach artificial turf to one side of plywood using staple gun. 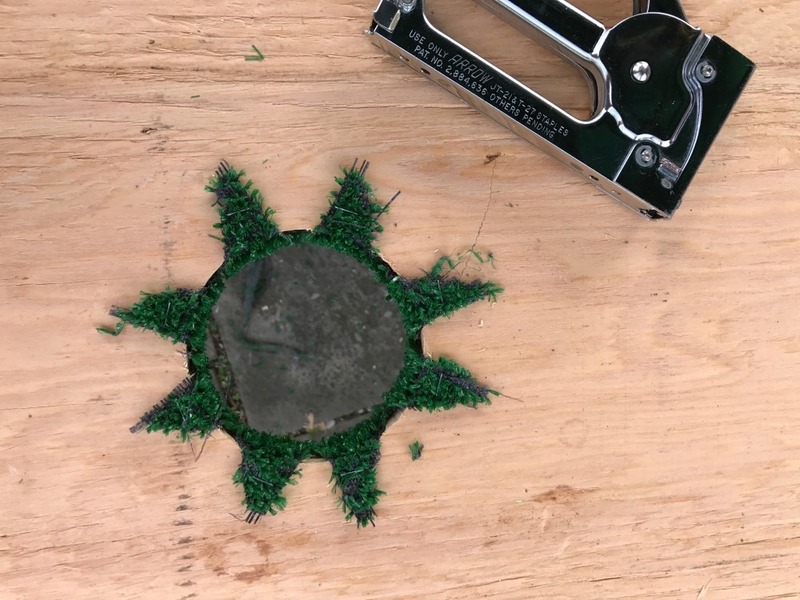 Cut an X in the hole area and pull turf through to back, staple in place. Insert pvc cap flush to turf surface. 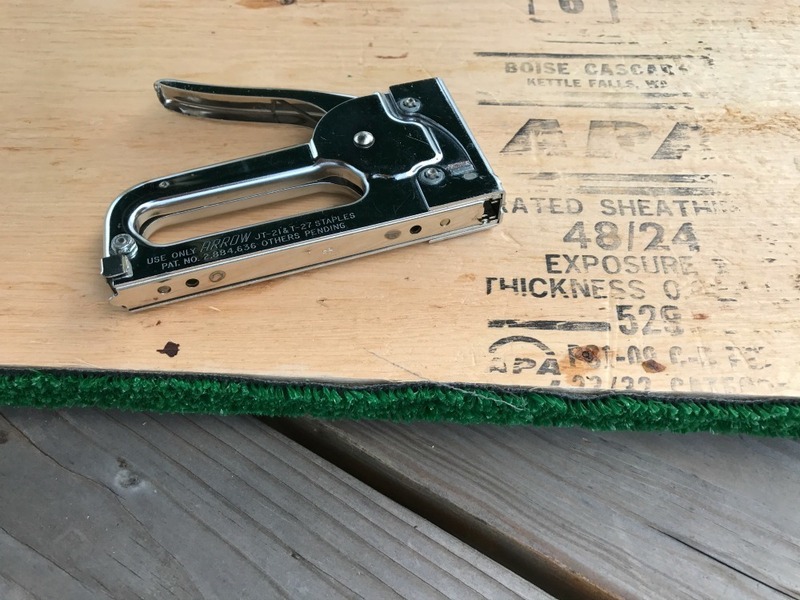 Predrill holes and attach to plywood using 1” exterior wood screws. 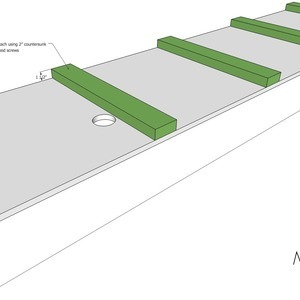 Attach base supports using 2” countersunk exterior wood screws. 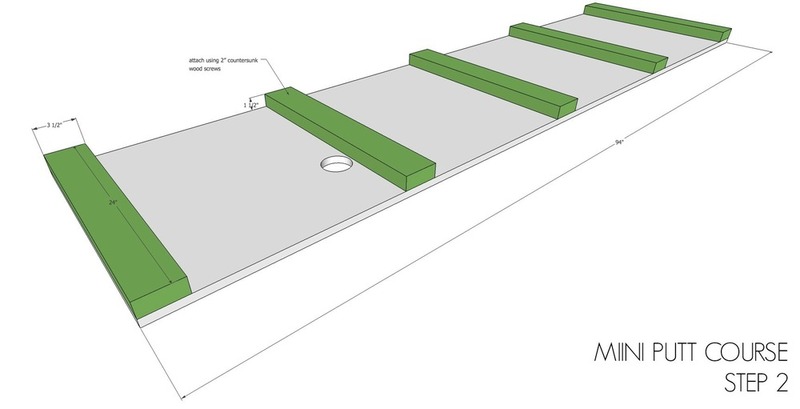 Evenly space the supports taking care to NOT cover the hole. 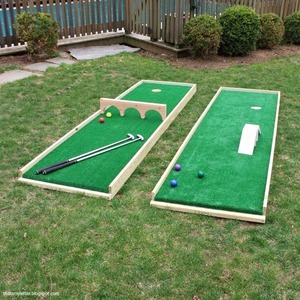 Attach sides to base supports using 2 ½” countersunk exterior wood screws. 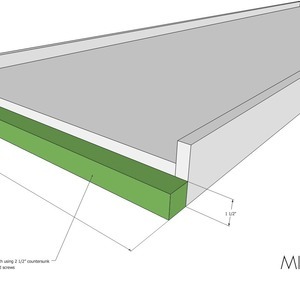 Attach back trim to side trim using 2” countersunk exterior wood screws. 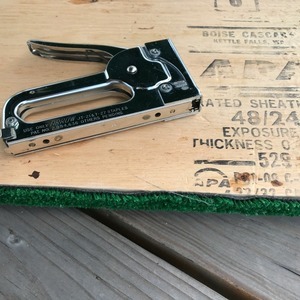 Also attach to base support using 2 ½” countersunk wood screws. 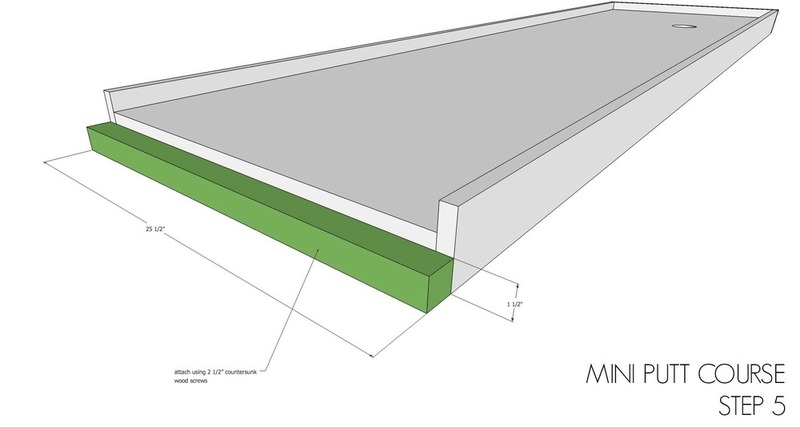 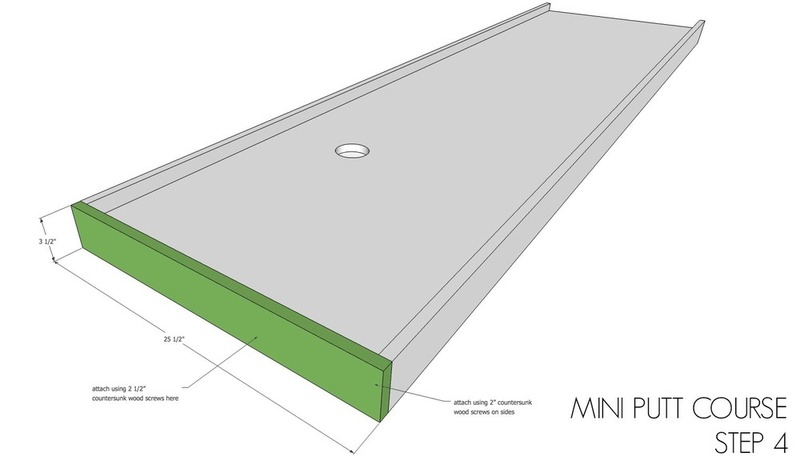 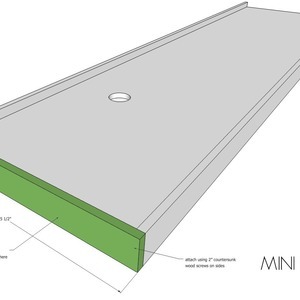 Attach front step trim to base support using 2 ½” countersunk exterior wood screws.